The VFW Riders recently donated to Fayette County baseball teams. Pictured (L to R): John Everhart, Billy Whiteside, Barry Coe, Jeanine Whiteside, Tracy Patterson, Cody Snyder and Bob Malone. The VFW Post 3762 recently donated to Buckeye Boys State. Pictured (L to R): Bob Malone, Glenn Rankin and Sheldon Litton. 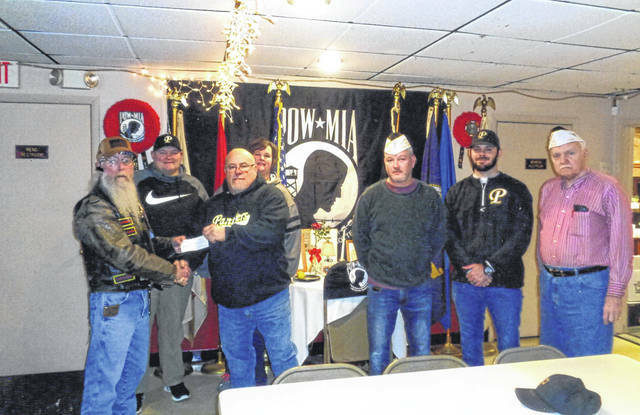 https://www.recordherald.com/wp-content/uploads/sites/27/2019/03/web1_img001.jpgThe VFW Riders recently donated to Fayette County baseball teams. Pictured (L to R): John Everhart, Billy Whiteside, Barry Coe, Jeanine Whiteside, Tracy Patterson, Cody Snyder and Bob Malone. 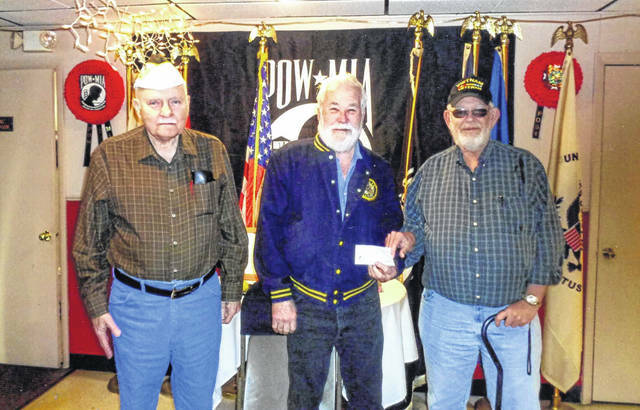 https://www.recordherald.com/wp-content/uploads/sites/27/2019/03/web1_img002.jpgThe VFW Post 3762 recently donated to Buckeye Boys State. Pictured (L to R): Bob Malone, Glenn Rankin and Sheldon Litton.